“We thought the idea of concentrating our activities into a specific period of time would give a greater focus on what CCS does,” Smith told us in March of 2014. But not only looking out for itself, the orchestra also saw an opportunity to raise awareness of the region’s thriving new music scene. About this time every year since, locals have kept their eyes and ears open to see just what’s been cooked up by CCS, Smith, and a selection of other local contemporary acts brought in to perform at the festival. 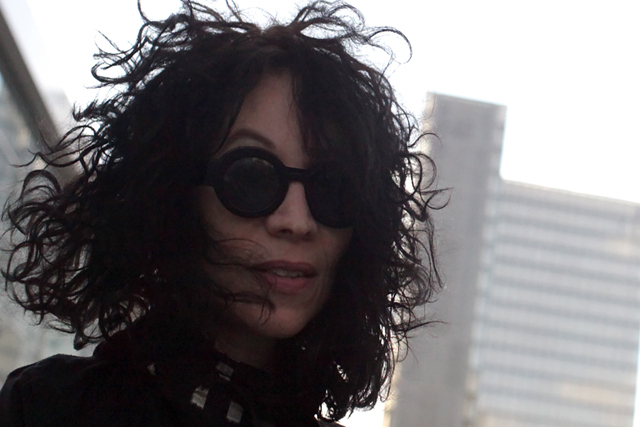 So — what’s in store for the sixth iteration of NEOSonicFest? The concerts kick off on Friday, March 29 at 9:00 pm with an electro-acoustic triple bill at Mahall’s Main Stage in Lakewood. The headliner is Buck McDaniel’s and Jacob Kirkwood’s live electro-acoustic score for Fire on the Water, a recent production by Cleveland Public Theater for the 50th anniversary of the burning of the Cuyahoga River. Oboist Devin Hinzo, violinist Ariel Karaś, and percussionist Mell Csicsila will join McDaniel and Kirkwood to perform the concert version of the piece. A one-woman choir might sound like an oxymoron, but for those more technologically adventurous, like Christa “UNO Lady” Ebert, it just means grabbing a microphone, a small mixer, and a loop pedal. Harpist/composer Stephan Haluska opens the evening with his own electro-acoustic compositions blending traditional and non-traditional harp playing through extended techniques, preparation, tools, electronics, and effects pedals. Get your $7 tickets here. Next, on Saturday, March 30 at 7:00 pm at Heights Arts in Cleveland Heights, is Patti Cudd in a presentation by No Exit. 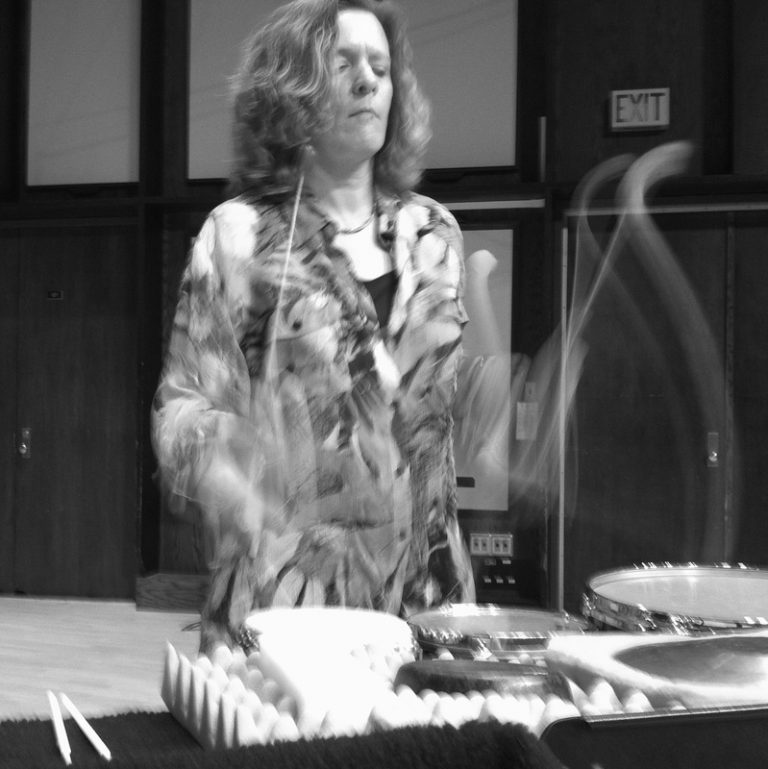 The longtime member of Minnesota-based new music ensemble Zeitgeist will present works from her 3-disc album EOS (2017), mostly made up of commissions for solo percussion and electronics. 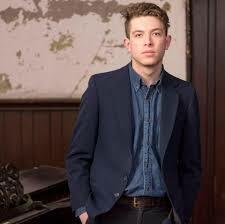 Those include Cleveland-area composer Colin Holter’s Suburb. Tickets are suggested, but they’re free. Fans of video game music know that the recordings available on streaming services are not great, to put it mildly in some cases, and that live performances are hard to come by. Here to the rescue is Rob Kovacs, aka 88bit. 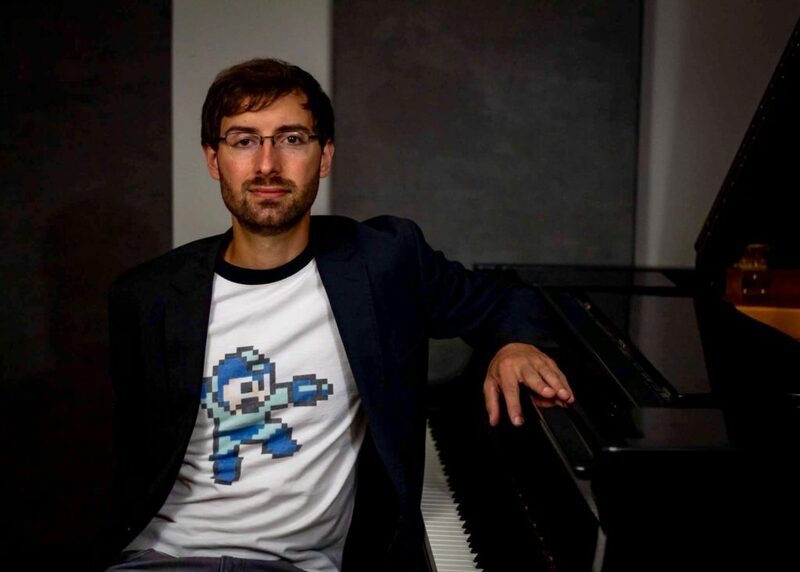 The Cleveland native comes to the Bop Stop on Monday, April 1 at 7:00 pm to perform piano covers of Nintendo classics like Castlevania and Mega Man 2 as well as lesser-known titles, as he stretches the limits of traditional piano playing. Again, tickets are suggested but free. Following in their own long tradition, Steven Smith and the Cleveland Chamber Symphony will present the “Young and Emerging Composers Concert” on Wednesday, April 3 at 7:00 pm in Gamble Auditorium at Baldwin Wallace University in Berea. This year’s event features works by Chris Neiner (Cleveland Institute of Music), Steve Chauvette (Baldwin Wallace University), Zachariah Thomas (Bowling Green State University), Robert Hosier (Cleveland State University), Andrew Wegerski (University of Akron), Scott Little (Kent State University), Samuel Ryan Silverman (Cuyahoga Community College), and Andrew Dana (Oberlin College). Tickets are free but required. And anyone interested in glimpsing part of the process is welcome to attend an open rehearsal on Sunday, March 31 from 9:00 am to 1:00 pm, also at Gamble Auditorium. More young talent will be featured when the CIM New Music Ensemble heads to Lab Studios on Friday, April 5 at 7:30 pm. The program includes music by Andrew Norman, Stravinsky, and Berio, as well as film and visuals by Kasumi (above), and is co-produced by CIM, NEOSonicFest, and Fresh Perspectives. The influence of the latter series can be seen in the evening-long food and beverage service and the after-hours dance party, curated by Jest Media, to celebrate the last event of the series’ inaugural season. Doors open at 6:30 pm, music begins at 7:00, and the CIM ensemble goes on at 7:30. Tickets to the concert are free, and a $5 donation (or $10 after 9:00 pm) gets you to the dance floor. 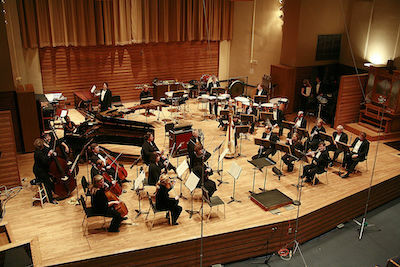 Smith and CCS will tie the bow on their 2019 NEOSonicFest on Sunday, April 7 at 5:00 pm in the Silver Hall series at the Maltz Performing Arts Center. You’ll hear works by Keith Fitch, Julia Perry, and George Walker, a longtime friend of CCS who died last year at age 96. You’ll also see dance. Verb Ballets will premiere choreography by Michael Escovedo to a work by Margi Griebling-Haigh of the Cleveland Composers Guild, and the Cleveland School of the Arts dance department will come together in a separate collaboration with composer Gabriel Novak, a former Young and Emerging Composer winner. Tickets are free but required. That concert marks the official end of the festival, but there’s a cherry on top: a “NEOSonicFest Extension” on Sunday, April 14 at 4:00 pm at Waterloo Arts. Flutist Sean Gabriel, percussionists Mell Csicsila and Andrew Pongracz, and pianist Randall Fusco of the Cleveland Chamber Symphony will perform locally composed works by Howard Buss, Jeffrey Quick, Lou Harrison, Daniel Dorff, and Steve Stanziano. Free tickets are suggested. It should be a fun, exciting, and surprising ride. Let’s go.